Lake Baikal, meaning "rich lake", is the world's oldest lake, at 25 million years (possibly older), and deepest, averaging 744.4 m (2,442 ft). At 1,642 m (5,387 ft), Lake Baikal is the deepest and among the clearest of all lakes in the world. Similar to Lake Tanganyika, Lake Baikal was formed as an ancient rift valley, having the typical long crescent shape with a surface area of 31,722 km2 (12,248 sq mi). Baikal is home to more than 1,700 species of plants and animals, two thirds of which can be found nowhere else in the world and was declared a UNESCO World Heritage Site in 1996. It is also home to Buryat tribes who reside on the eastern side of Lake Baikal, rearing goats, camels, cattle and sheep, where the regional average temperatures vary from a minimum of −19 °C (−2 °F) in winter to maximum of 14 °C (57 °F) in summer. 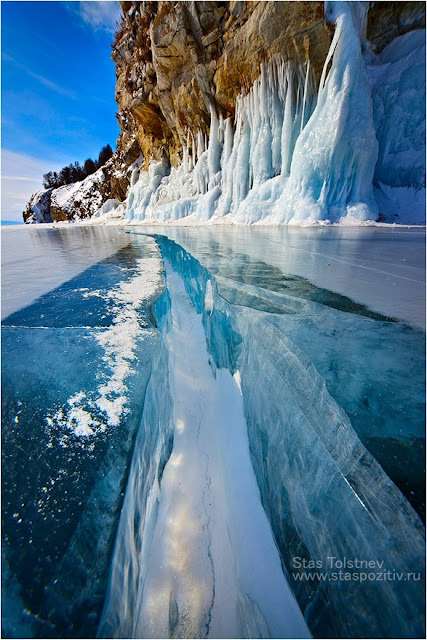 Lake Baikal is nicknamed "Older sister of Sister Lakes (Lake Khövsgöl and Lake Baikal)". The lake, called "the Pearl of Siberia", drew investors from the tourist industry as energy revenues sparked an economic boom. Viktor Grigorov's Grand Baikal in Irkutsk is one of the investors, who planned to build three hotels creating 570 jobs. In 2007, the Russian government declared the Baikal region a special economic zone. The popular resort of Listvyanka is home to the seven-story Hotel Mayak. At the northern part of the lake Baikalplan (a German NGO) built together with Russians in 2009 the Frolikha Adventure Coastline Track a 100 km long Long-distance trail as example for a sustainable development of the region. Baikal was also declared a UNESCO World Heritage site in 1996. Rosatom plans to build a laboratory in Baikal, in conjunction with an international uranium plant and to invest $2.5 billion in the region and create 2,000 jobs in the city of Angarsk.